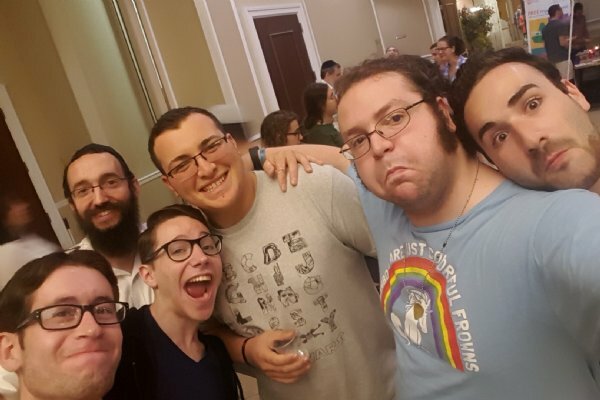 Scientists might theorize that the creation of the world began with a big bang, but here at Rutgers University, Chabad is making a special kind of noise – the sounds of hundreds of Jewish collegiates from all walks of life, coming together to celebrate their Judaism and to meet new people. 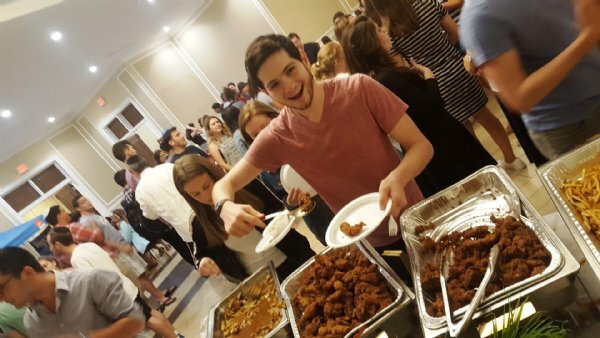 This past Tuesday night, Chabad at Rutgers welcomed in over 500 incoming first year students together with returning students to its fall Israeli Grill Open House and Jewish Involvement Fair. 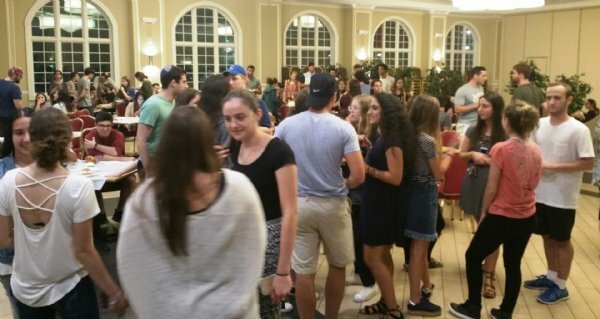 “I couldn’t believe how many students showed up tonight, and from such diverse backgrounds, all coming together as one family; it’s very impressive,” commented returning Rutgers Sophomore, Brittany Liebes, of Montville, NJ. 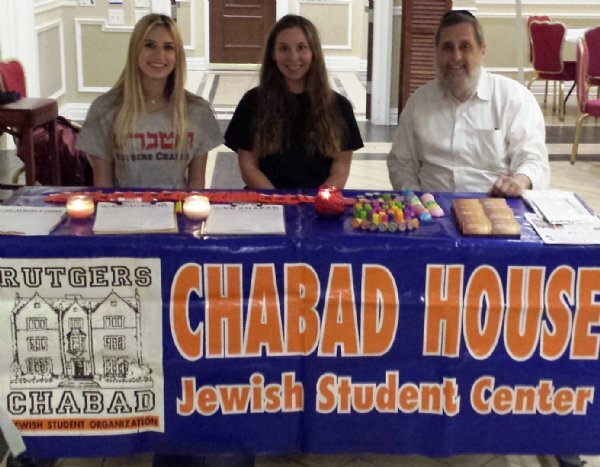 The evening featured a Jewish involvement fair with student leaders of the many clubs Chabad sponsors each and every week on campus, including the Rutgers Jewish Community Service Group, the Shabbat Committee, the RU4Israel Advocacy Group, and Social JCafe Leadership Team, Sushi and Soul, CLI Jewish Discovery Program, and the Challah Baking Committee, just to name a few! 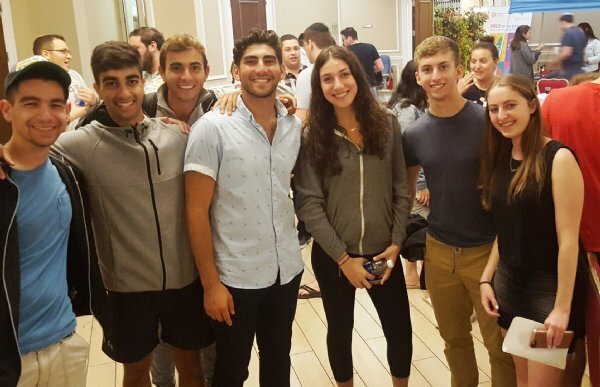 New students interacted with current representatives of these groups and signed interested people up for upcoming planning meetings and events. Chabad’s top Chef Shmuly prepared a delicious, hot Israeli Shwarma Grill with hors devoures, desserts, and exotic mocktails, offering the new students a sampling of the typically scrumptious foods prepared on a daily basis at Chabad’s 24/7 Kosher Meal Plan, now boasting 175 enrolled students enjoying 3 meals per day and over 600 participating students each Shabbat.